Yes, here at Crowded Earth Kitchen, Italian Wedding Soup falls squarely into the “Awesome!” category. 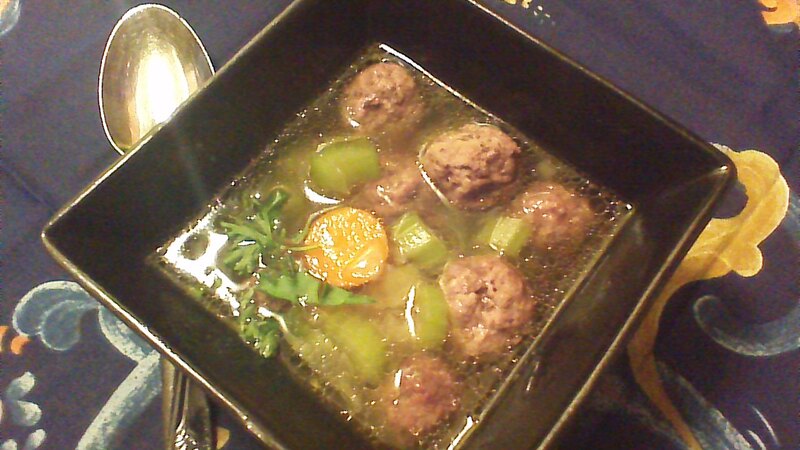 Half-Pint likes any soup made with chicken broth (“yellow soup”), and Pickle-in-the-Middle loves the little meatballs. What’s not to love about little meatballs? Traditionally, Italian Wedding Soup also contains orzo. Feel free to add a cup or so if you like. I’m sharing this soup with a loved one who is watching their carb intake, so I left the orzo out. The soup is still delicious! Step 1) Combine ground beef, oregano, salt, pepper, and Worcestershire sauce in a large bowl. Mix well. 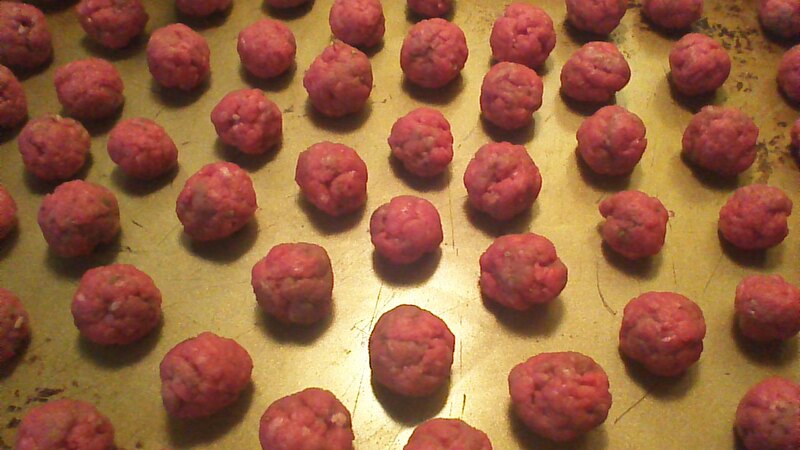 Step 2) Roll ground beef mixture into SMALL meatballs. 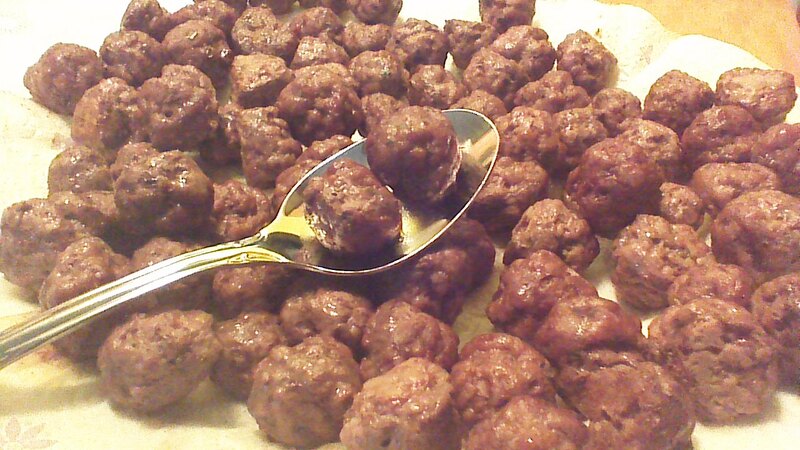 These meatballs are bite-size soup morsels, and should be only 1 inch in diameter before they are baked! Step 3) Bake meatballs on baking sheets with shallow sides in a preheated 375 degree oven for 15 – 20 minutes or until browned and cooked through. Transfer cooked meatballs to a plate lined with paper towels to drain. Step 4) While meatballs are baking, saute onion and butter in a large pot. When onions are soft, add chicken stock, carrots, and celery. Bring just barely to a boil and then reduce heat to simmer. 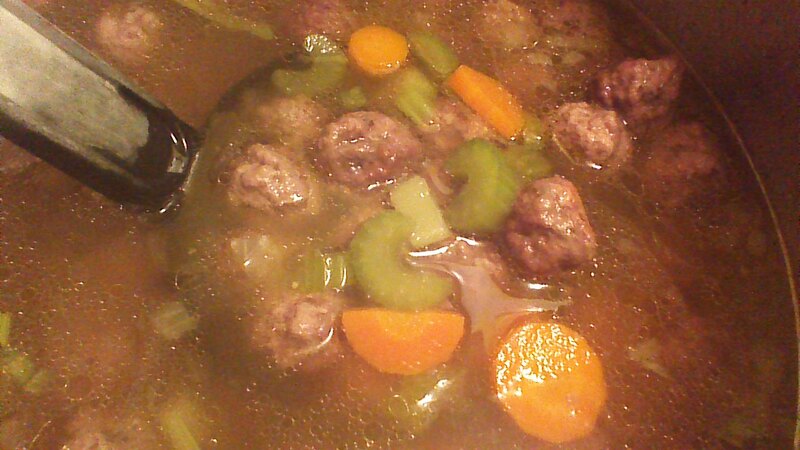 Step 5) When carrots are tender (should only take a few minutes), add meatballs and chopped fresh parsley. Heat through. Enjoy! This entry was posted in Main Dishes, Soups and Salads and tagged children, Cooking, dinner, Family, Food, frugal, gluten-free, Homesteading, Italy, Paleo, Recipes, soup, teenagers, wedding. Bookmark the permalink. I am making this tonight after reading this! One of Grandpa’s favorite soups!